The National Copyright Administration of China (NCAC), in its 2014 Annual Report Online Copyright Protection in China (2014年中国网络版权保护年度报告), analyzed published opinions on online civil copyright cases involving the “right of transmission to the public” (making available right) drawing on three public databases (the Supreme People’s Court’s “中国知识产权裁判文书网” 、 “中国裁判文书网” ，and Peking University’s “法宝数据”). There were 1650 reported civil opinions on online infringement in 2014, an increase of 18.8 percent from last year. Audiovisual cases occupied first place, at 44.5 percent of these opinions. Literary works constituted 390 cases, or 23.6 percent. This was an increase of six times over last year. Graphical works were 363 cases, a 3.3 times increase. Video games totaled 56 cases and music was last of these major categories with 20 cases, or about 1 percent, a decrease from last year of 80 percent. In total these categories constituted 98 percent of reported cases. The report identifies that were 86 cases involving 11 of the 20 websites that were subject to supervision by China’s copyright administrative authority (NCAC), and were 5.2% of the total cases. These cases were a declining percentage of online infringement cases compared to past year. It appears that NCA is using this data to show the effectiveness of its administrative mechanisms. The decline in music cases, in my estimation, likely reflects the great difficulty the music industry faces. Music is a priority area for NCA this year. Improvements in administrative IP protection planned at the beginning of 2015, including a recently launched campaign, will also hopefully reduce the level of infringement by key internet companies and/or support more effective civil enforcement in this sector. Plaintiffs in online copyright cases were mostly enterprises, and defendants were mostly internet companies. Individuals were a small number of the plaintiffs (about 6.4 percent), which was about the same as last year. Online media companies were principal defendants (87%). The remaining 13 percent consisted of traditional media companies, including traditional publishers, newspapers, motion picture studios, and television stations. Civil online cases were principally heard in Guangdong, Beijing and Zhejiang with about 70 percent of the cases. Zhejiang jumped from fifth place last year to third place. Fujian also showed a significant increase. 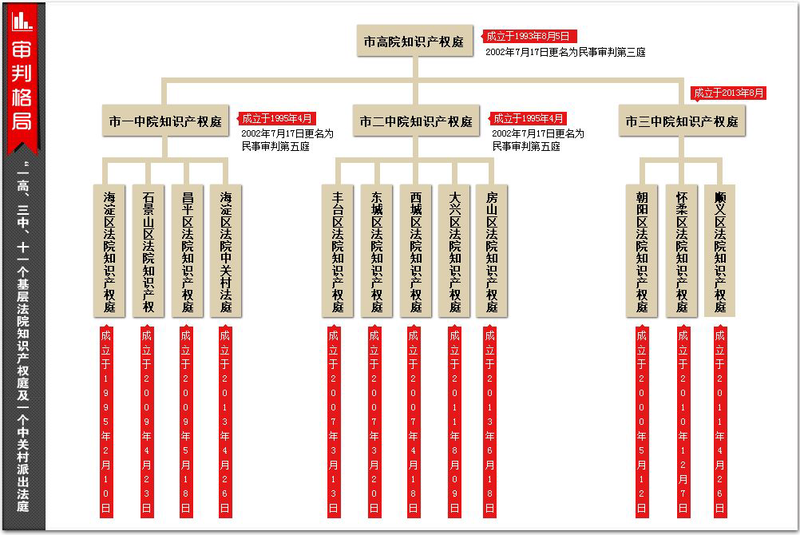 A large share of the audiovisual infringement cases in Guangdong involved Kuaibo (www.qvod.com). The regional distribution of the cases also shows that there was a drop in audiovisual cases in Beijing, but an increase in other areas such as written works. Most of the plaintiffs in Beijing were well known companies in such fields as motion pictures, cultural product distribution, and internet technologies, which in NCAC’s view could suggest a maturing of the Beijing environment towards protecting a greater variety of content owners. The increase in cases in Zhejiang in online cases is due to the rapid increase in online industries in that province, which also has consequences for trademark counterfeiting. As I recently reported, online counterfeiting has also become a priority for China Customs in China, with Zhejiang also figuring prominently in seizures of exports at such ports as Hangzhou and Ningbo. The report also notes that there were 30 online criminal copyright cases as well, and that fines and punishment had increased, with one fourth of the cases involving fines over 500,000 RMB. Note that I tried to compare this data with the data that is available on www.ciela.cn. Unfortunately the data sets do not match well. CIELA analyzes data by cities and provides more granular detail on proceedings and outcomes (length of time, damages, “win” rates, etc.). Moreover, CIELA does not breakout on-line copyright cases. I was thus unable to reliably further validate NCA’s observations in this report. The NCAC report was released on April 22, 2015. However, with only 219 hits since it was placed on line as of today, it remains a “sleeper” of a report, notwithstanding the dramatic growth in online copyright issues in China. 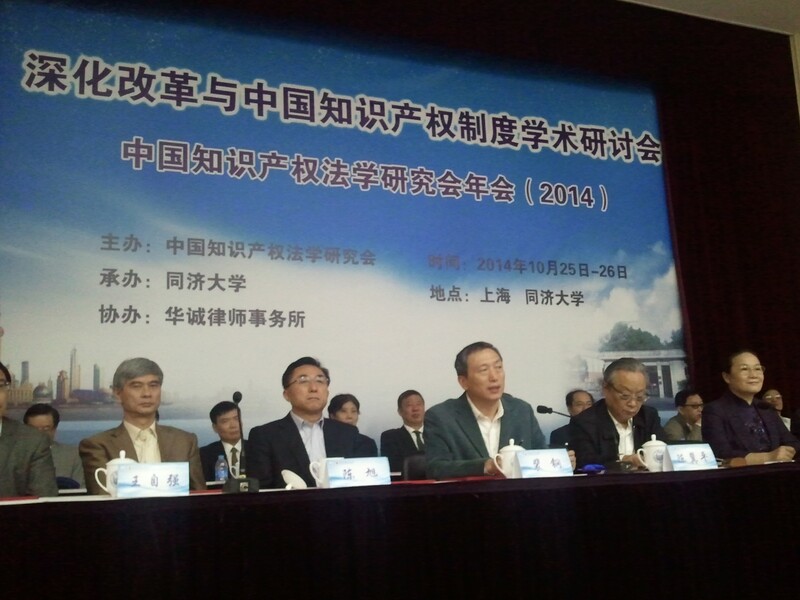 Background: On August 31, 2014, the NPC’s Standing Committee enacted a decision to establishing specialized IP courts in Beijing, Shanghai and Guanghou. These courts are intended to be a three year experiment in adjudicating technologically complex cases. I have previously blogged about this issue on two separate occasions, while other commentators such as He Jing have also offered their analysis. The roll out of the courts have now entered into a less theoretical stage of implementation. In addition, other developments, such as the recently concluded Fourth Plenum also influences our understanding of what is going on in this important area, and the potential impact of this experiment on other legal reforms. At a conference on October 25 that I attended at Tongji University (photo above), IPR Tribunal Deputy Chief Judge Jin Kesheng 金克胜 updated a large crowd of academics, officials, lawyers and students on how the court was going to develop. . Judge Jin had a long experience as a legal academic, and has often commented on the relationship between IP and other legal developments. He noted that the SPC is actively drafting a judicial interpretation on the jurisdiction of the courts. He stated that the three specialized IP courts will adjudicate both first and second instance cases. They will also adjudicate both civil and administrative matters. Current “three in one” adjudication experiments (combining civil, criminal and administrative jurisdiction) will be largely unaffected. He referred to the Foruth Plenum several times, and pointed out that the pilot in cross-region jurisdiction in specialized IPR court is a pilot for the future court’s reform in cross-region jurisdiction on other subject matters. In terms of subject matter jurisdiction, he specifically mentioned that antimonopoly law cases and well-known trademark cases will also be under the jurisdiction of the specialized IPR courts. Regarding court administration, Judge Jin noted that judges in the specialized IP courts will be higher paid, which is attracting interest from other judges. He also expected that the courts would have an impact on the professionalism and expertise of the judiciary in IP cases, which is already relatively high. 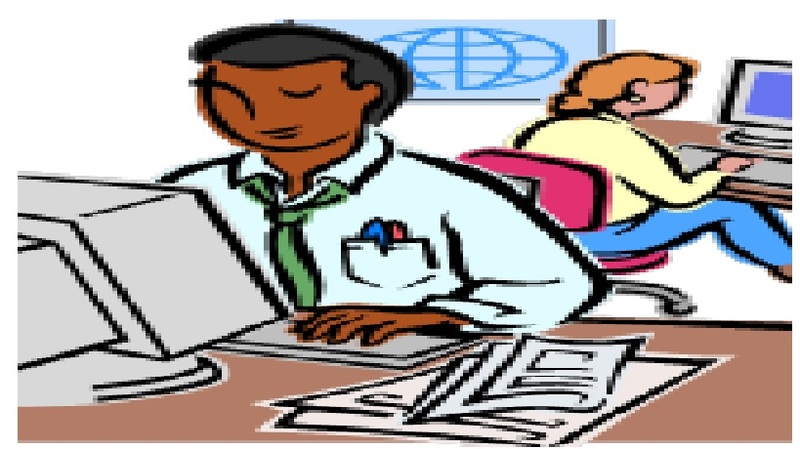 In the past the courts have used experts, such as examiners from SIPO to assist in technologically complex matters. In the future, technology experts (技术调查官) will serve as the assistant to the judge. In fact these technology experts are set to be included in the Beijing Specialized IP Court launch, which will take place in the first half of November. Jin cautioned, however, that judges should avoid replying on the technology experts exclusively. Jin acknowledged the disappointment many observers had that the NPC had not authorized establishment of a national appellate IP court, such as the CAFC, but had instead decided to establish a pilot project involving intermediate level courts. The views of several prominent academics were conveyed at a meeting of the Legal Affairs Committee of the NPC on August 7. Some academics urged a specialized IP court like the CAFC to break the problem of territoriality in IP adjudication while others urged that this court should set the standard for a national appellate court. Judge Jin nonetheless believed that the specialized IP courts are a milestone in China’s IP and legal reforms. What will be the impact of this self-described experiment? In terms of size of their docket, Guangdong has by far the largest docket. Beijing is second and Shanghai is last. Guangdong is about twice the size of Beijing, and Beijing is a bit more than twice the size of Shanghai. Beijing, however, has the oversized docket of foreign-related cases and administrative cases. Guangdong has the biggest size and population and its experiment in setting up a provincial level intermediate court could be an important precedent for IP and non-IP related jurisdictional experiments. The loss of jurisdiction of Shenzhen and other important cities in Guangdong over patent, trade secret and AML matters is likely a significant concern to tech companies there. Beijing’s continuing role in administrative litigation means that Beijing would be a natural venue for a national appellate IP court, such as the CAFC. Shanghai, with the smallest docket and a relatively modest foreign related docket compared to Beijing may appear to have the least “experimental value.” However, Shanghai brings several important developments to the table. First it is the home to a large and active foreign business community and an active R&D community, especially in the life sciences. Second, it is home to the important foreign trade zone pilot project, with its own IP tribunal. Third and not least, Shanghai is the home to the Chinese Courts International Exchanges Base for Judicial Protection of Intellectual Property Rights (中国法院知识产权司法保护国际交流（上海）基地) which was opened on September 25, and promises to support a wide range of IPR judicial exchanges and educational efforts. Since foreigners file more cases in Beijing, the Shanghai IP court will need to work hard to attract IP litigation from Beijing, particularly since the Beijing IP court is likely to continue to have a large foreign-related docket with its jurisdiction over the patent and trademark offices. The Beijing court has already been sighted by one microblogger, and a picture is available on line: http://www.weibo.com/136766637#_rnd1414651625018. There have also been numerous postings, emails and rumors about assignments of judges – which I will decline to repeat here. In any event, it is only a matter of weeks before those appointments are officially disclosed. SIPO recently published its 2013 data on hits on Chinese government IP websites. Overall, there were 2,974,407,259 hits on Chinese government IP system portal websites in 2013. Total numbers of distinct on IP addresses were 30,066,575. The three biggest foreign countries in terms of visitors were the US, France and Canada. In terms of origin of page views, China was number one: 934,297,096. The US was number two with 136,552,861. France trailed at 6,120,926. To put that in perspective, US page views were 14.6 percent of the total – which is rather high. There were 554,028,775 hits to the Chinese language patent search engine. Amongst English language hits, news ranked first (381,612), and law and policy was second (164,226). The biggest domestic source of domestic page views were Beijing and Guangdong (approximately 286 million and 90 million, respectively). There was a minor spike in visits in April (IP Day/Week – April 26, I presume), another spike in July and August, but the big spike was in December with an especially large growth in IP addresses towards year end, as the 12 month chart below of visitors indicates. The year end spike parallels the increase in patent filings at year end (https://chinaipr.com/2013/02/16/autumnal-hook-2012-update/. )My guess is that seasonality in utilization of patent search engines would more closely approximate trends in patent filings, while overall utilization of government IP websites may tend to track IP campaigns and policy initiatives. The ratio of distinct addresses to page views is about 100 hits per IP address (approximately 3 billion hits/30 million IP addresses). We are an information-oriented profession! I noted in an earlier blog “The Chinese IP Hits Parade” that foreigners learn about Chinese IP from Chinese government websites, particularly when Chinese data is compared with US and European sources of information on the Chinese IP environment. By comparison, total hits on my bog last year were 30,000, a number that pales in comparison to the millions of page views from foreign IP addresses on Chinese government websites, or in terms on Chinese government English language websites, where the differences narrowed. While the data suggests continued growth in information services on IP, it would be useful if SIPO provided the tools to make better year on year comparisons or listed all of the Chinese government IP websites it is tracking. Other problems: the numbers of page views is about one third lower than hits in SIPO’s report, which is hard to fathom, since each hit is necessarily a page view. In addition, there appears to be a large spike in US utilization of SIPO websites compared to 2012 data in 2013, which is also hard to understand. 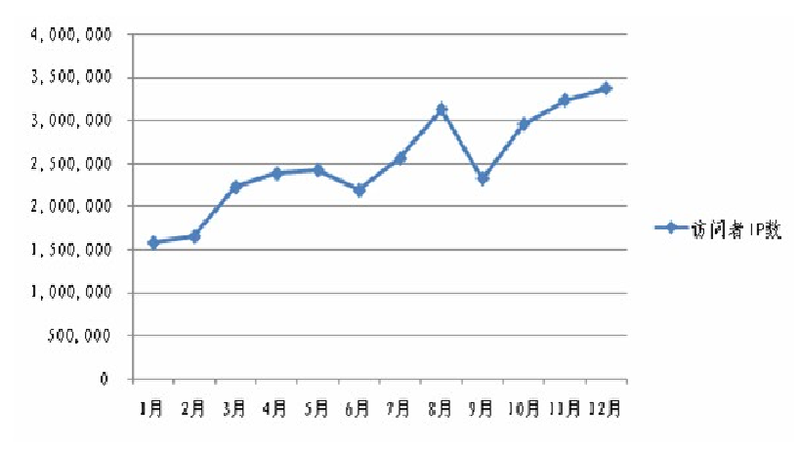 Source: http://www.sipo.gov.cn/zscqgz/2014/201405/t20140508_946303.html (关于全国知识产权系统政府门户网站2013年统计情况的通报) (Report Concerning the Statistical Situation of The Chinese Government National Network of IP Portals in 2013). First, due to the rapid increase in IP cases in the Beijing Number 1 Intermediate Court, particularly IP cases involving patent and trademark validity, the Beijing Intermediate Court will split its Intellectual Property Tribunal in two. The number one IP Tribunal will primarily hear trademarks and unfair competition cases, while the slightly smaller number two IP tribunal will primarily hear patent and copyright cases. Second, it is also reported that the Beijing courts have been hearing more IP cases, and that their share of the national docket is about 10%. First instance cases increased from 4,748 cases in 2008 to 11,305 in 2012, and increase of nearly 150%. Copyright cases represented about half the total. It is my hope that this division of the courts will increase expertise and efficiency, as this court likely hears the most foreign IP cases of any court in China. The reason: foreigners are a small percentage of the total civil IP docket, but a large share of the administrative docket involving appeals from the patent and trademark offices. Although Beijing represents “only” 10% of China’s IP docket, it has an outsized influence on foreigners, with the Beijing Intermediate Court likely hearing well over 50% of foreign-related IP cases.